Warning: mild spoilers for the upcoming Arrow episode “Nanda Parbat” are ahead! It’s the nature of network TV shows to take periodic breaks during the TV season, and Arrow is no exception. The show, along with companion series The Flash, recently took a break during the holiday season, but returned with new episodes and new adventures. However, all good things must come to an end (temporarily). The Flash began its hiatus this week, and Arrow will be joining it after Episode 15 airs. To infuriate fans further, like the midseason finale “The Climb,” “Nanda Parbat” will also leave audiences with a cliffhanger. Executive producer Andrew Kreisberg told TV Line that “Nanda Parbat” was specifically “designed to be a crazy cliffhanger,” and there will be a lot of amazing moments sprinkled throughout. Among the highlights for fellow producer Marc Guggenheim are Malcolm Merlyn and Ra’s al Ghul finally sharing a scene, and what Thea and Oliver are willing to do for her soul. 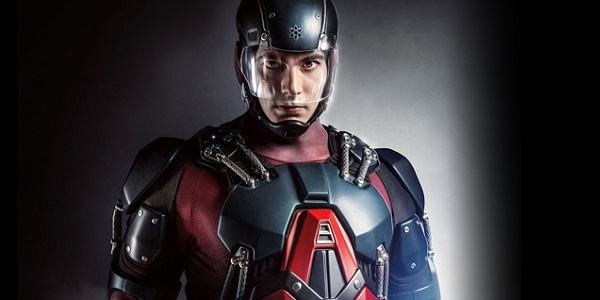 This is also the week that Ray Palmer finally puts on the A.T.O.M. suit, though Felicity will attempt to stop him. Noting that Arrow doesn’t delve as much into visual spectacles as The Flash, Guggenheim said that he's "really excited for people to see the A.T.O.M. suit in its full glory." The episode synopsis, images and preview for “Nanda Parbat” show that Malcolm will somehow be captured by Ra’s. The League of Assassins leader has been hunting Malcolm ever since The Undertaking in Season 1, and now that he has the traitor, he will make him suffer. Despite all that Malcolm has done, Oliver will attempt to rescue Malcolm, but as usual, it won’t go as planned. There are many ways this episode could end, from Ray being injured in the A.T.O.M. suit to Oliver being imprisoned at Nanda Parbat. A strong possibility is that this will result in the long-awaited reveal of the Lazarus Pit, the strange chemicals that have allowed Ra’s to live for centuries in the comics and can restore the near-dead to full health. Arrow is taking the next three weeks off, one week less than The Flash is. So while that's encouraging, it doesn’t ease the pain of knowing that however this weeks’s episode ends, fans will have to wait weeks to see it resolved or explained. You can catch Arrow on non-hiatus Wednesdays at 8/7c on The CW. Head to the next page to watch the preview for "Nanda Parbat."